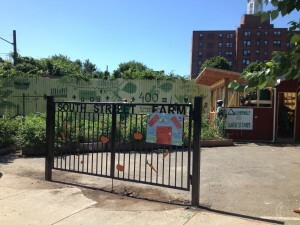 The South Street Farm is Somerville’s first urban farm! 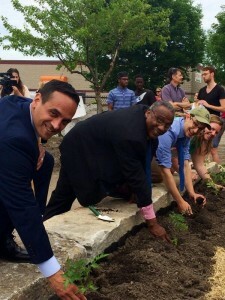 Since 2011, Groundwork Somerville’s Green Team and community volunteers have transformed two barren, paved parking lots on South Street into an abundant food forest. Harvested produce is sold at the Somerville Mobile Farmers’ Market, donated to local food pantries, and used by the Green Team for special events and healthy eating workshops. The South Street Farm is an important part of the movement towards sustainability and revitalization in Somerville. We’re glad that Green Team members are the stewards of this project and consequently placed at the forefront of the wider national urban agriculture movement! Here’s to transforming vacant lots into greener, healthier, productive and aesthetically pleasing urbanscapes! 2015 saw the completion of the second phase of South Street’s development at 138 South Street. 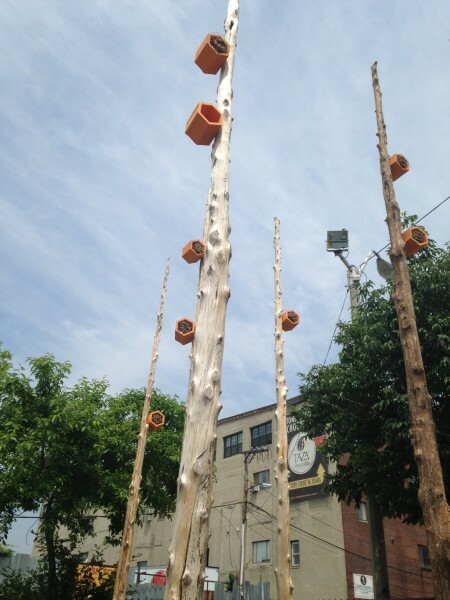 Two notable features of this second, larger lot are the GROW SOMERVILLE mural and the installation of “insect hotels” in the form of pollinator poles – a combination of art and agriculture that supports the life cycles of our crops while adding beautiful aesthetics to our farm. 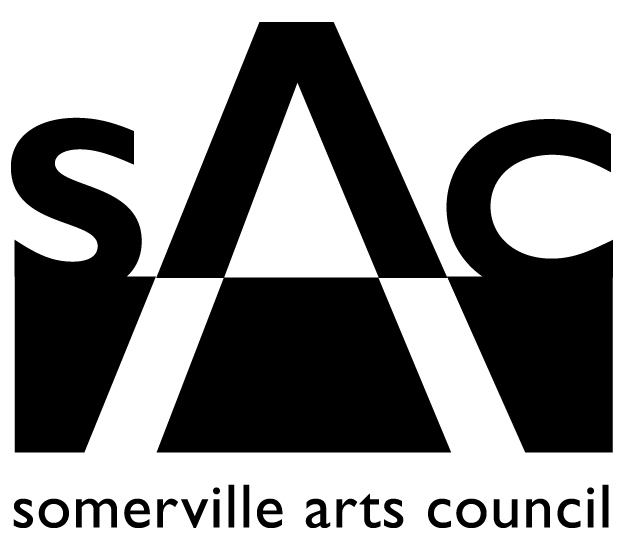 The pollinator project is supported by a grant from the Somerville Arts Council, a local agency supported by the Massachusetts Cultural Council. *News from the Farm: Check out this beautifully-written ecoMass News article profiling our Farm, urban agriculture in Somerville, and the work of the Green Team!